Our experienced team is determined to make your event a success by providing quality tents designed for every occasion. Whether you are hosting a wedding, traditional event or a birthday party, we have the right solution for you. We have a large stock of tents that vary in shape, sizes and colour. Therefore, whether you need a colourful event with a few friends or a large ceremony with many people in attendance, you can be sure that everybody will be comfortable. Call us on 021 300 3641 today! Our tents for hire in Woodstock are perfectly tailored for whatever event you have in mind. From the moment you make your choice to when they are delivered and assembled, you can expect nothing less than the highest levels of professionalism. We always go an extra mile to see our clients smile. Whether you want a tent delivered within a short notice or you would love to schedule our services for a specific date, you are welcome. We strive to ensure that your event is leaves a good memory on your guests. Our services do not just end at pitching up the tents; rather, our décor and drapery hire team is always ready to make the venue attractive with dazzling decorations. 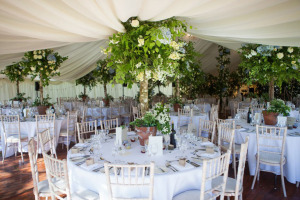 Our reputable marquee hire company is always on the forefront in the delivery of any kind of tents. In addition, you can always get in touch with us for modern and stylish stretch tents for hire. Whatever your needs be, call us today to arrange quote!